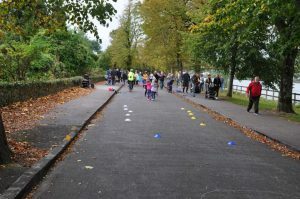 How wonderful it was yesterday, Sunday 7th October, to see the Marina packed with children and adults – walking, cycling, playing old fashioned games along the road, jumping into a heap of leaves piled on the path. All in complete safety. 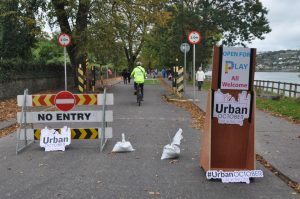 This is part of the Urban October Life in the City initiative. 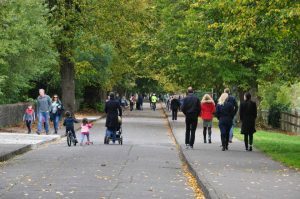 It aims to showcase how well-designed and well-managed public spaces can have a positive impact on everyone who lives, visits or works in the city. 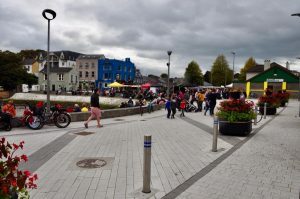 The new plaza in Blackrock Village was humming with activity and looking particularly well. 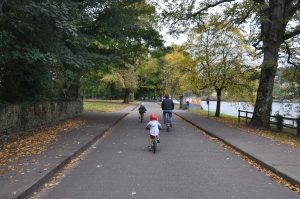 It is truly wonderful to see this new amenity in an area of the city that had been sadly neglected for so long. 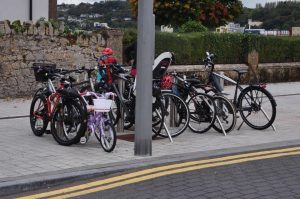 They may already need more bike parking, surely a good sign of cycling enthusiasm! 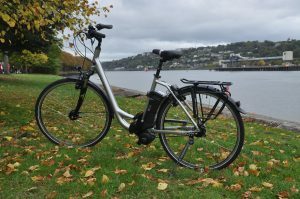 We tried out two lovely new electric bikes on our trip yesterday morning – the Kalkhoff Jubilee i7 Excite and the Kreidler Vitality Eco 14, both of which were so good to cycle that we ended up cycling all around our lovely city for two hours when we had finished with the Marina! How well they look amongst the colours of Autumn. 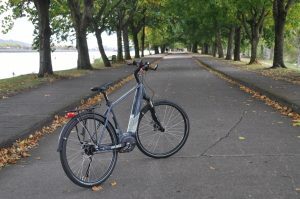 You’ll find them on our Electric Bike pages if you wish to know more about them.